1:10′ We’ve had many requests for a smart phone app. We’d like to get feedback from more listeners. Do you want an App? 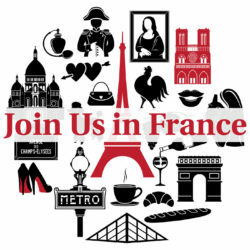 How do you listen to Join Us in France? To let us know, please scroll to the bottom of this page and tell us how you listen to the show in the Leave a Reply area. Your comment will not appear right away (they are moderated to keep the spammers away), but you’ll see them within a few hours. 2:10′ Go to the bottom of the post for this episode (click on Continue reading) and share the show with your friends on Facebook, Twitter, Reddit, Google+, Stumble Upon, email, etc. 4:00′ How to spend a wonderful day in Champagne country. How to get to the Champagne region from Paris. Go to the Gare de l’Est in Paris (it’s a gorgeous train station, Art Nouveau, wonderful shops). There are frequent trains between Paris and Reims, almost every hour. There’s a bullet train TGV (Train à grande vitesse) and it takes 50 minutes to get to Reims from Paris, make sure to get a ticket to the city center of Reims (centre ville). The train costs about 70€ return per person. There are ticket discounts for people over 60. 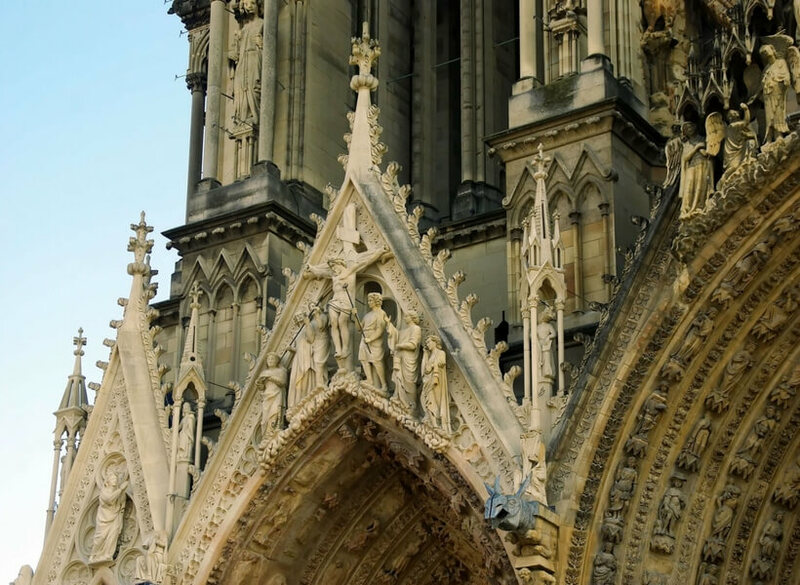 9:45′ Reims is famous for two things: champagne and a magnificent gothic cathedral. When you get out of the train in Reims go to the right to get to the Office de Tourisme where they can help you find maps, public buses, and anything else you may need to get around. They speak English. 10:30′ You can also see the “old” city center, it’s not very old because it was destroyed and rebuilt due to world wars. You can walk to the Cathedral in 10mn. 12:00′ Lime stone tunnels dug out by the Romans. Tunnels have the same temperature year-round. 14:00′ The Cathedral is called Notre Dame and is one of the most beautiful gothic Cathedrals in France. The sculpture is gorgeous on the outside and on the inside. 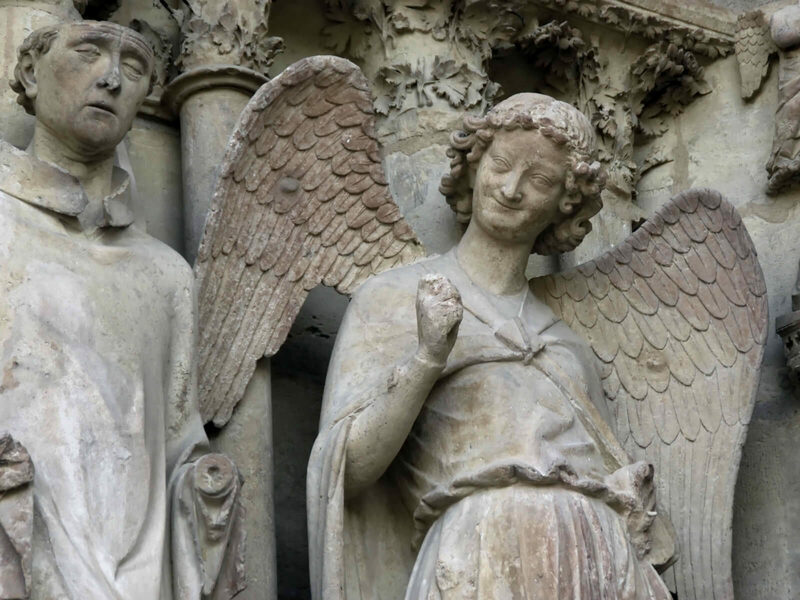 It’s known as the cathedral of the smiling angels. 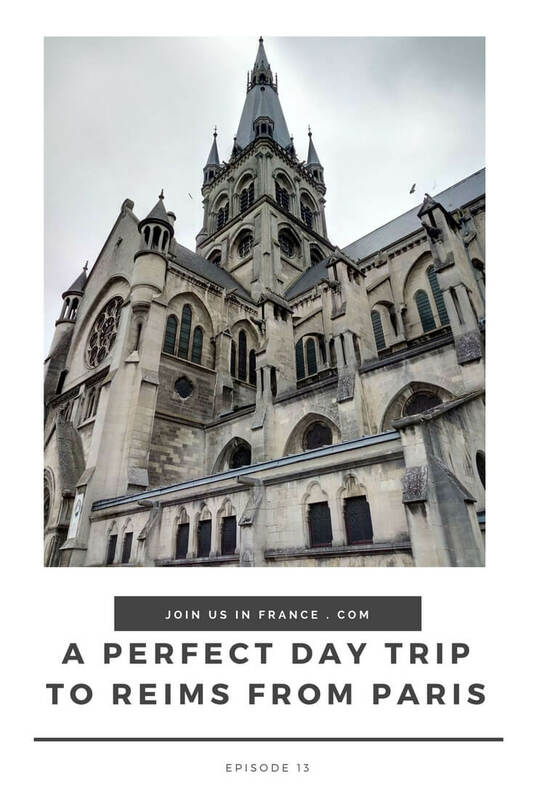 16:15′ This is the cathedral where the kings of France were crowned between the early 1200s and into 1825. 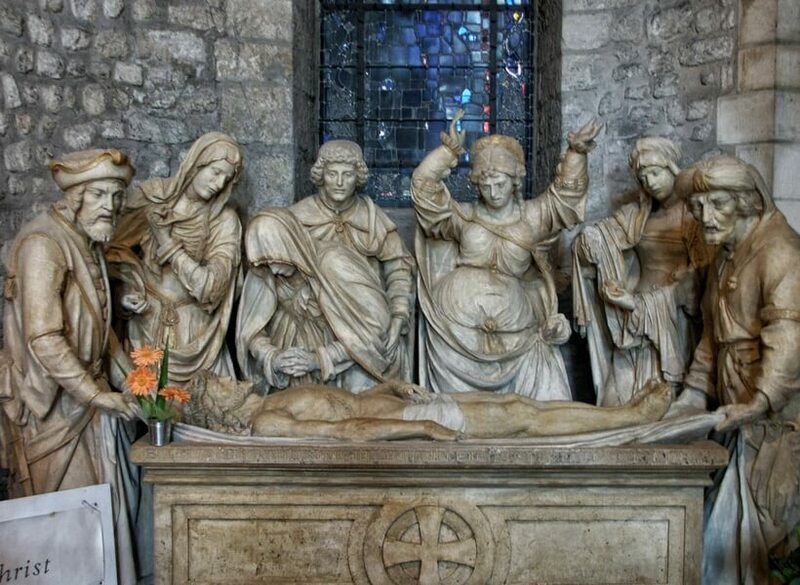 This is also the cathedral where Joan of Arc watched Charles VII was made king thanks to her mystical intervention. Most of what you see there has been restored because the city was heavily destroyed in WWI. 20:00′ Unlike churches in most other places in France, the builders/designers signed their names in stone on the ground. 21:00′ Some of the stained glass is by Chagall. 22:00′ Reims is the center of the commerce of champagne and the champagne houses. Just to name a few: Veuve Clicquot, Mumm, Taittinger, the house of Martel offers a very nice visit even though they don’t export their champagne to the US. These are the places where the champagne is produced and stocked. 23:20′ You can visit almost all of the champagne houses. During the high season (June-Sept) there are guided tours every half hour. There are visits in English, German, Japanese sometimes. If you go off season, find out when there is a tour in English because usually there’s only one in the morning and one in the afternoon. 25:15′ On the tour they explain how the champagne is made, stored, and you get a tasting or sometimes two. Prices vary between 11€ and 18€ per person. You can get to the champagne houses with public transportation which is really good in Reims. Some of the houses are far from the train station. Mumm is close to the train station (5mn walk) but you don’t visit the tunnels (called “crayères” in French) at Mumm. At Veuve Clicquot or Taittinger or Martel you do see the crayères. 27:40′ Charming visits. Champagne is hard to ship because of the bubbles. Some houses ship and others don’t. You can buy by the case. 28:45′ Lovely visit to do. The guided visit takes about one hour. You can also go to the retailers (for instance on the esplanade in front of the Cathedral) and they can suggest lots of champagnes, sometimes offer a tasting. Those retailers don’t make champagne but they sell all sorts of champagne. 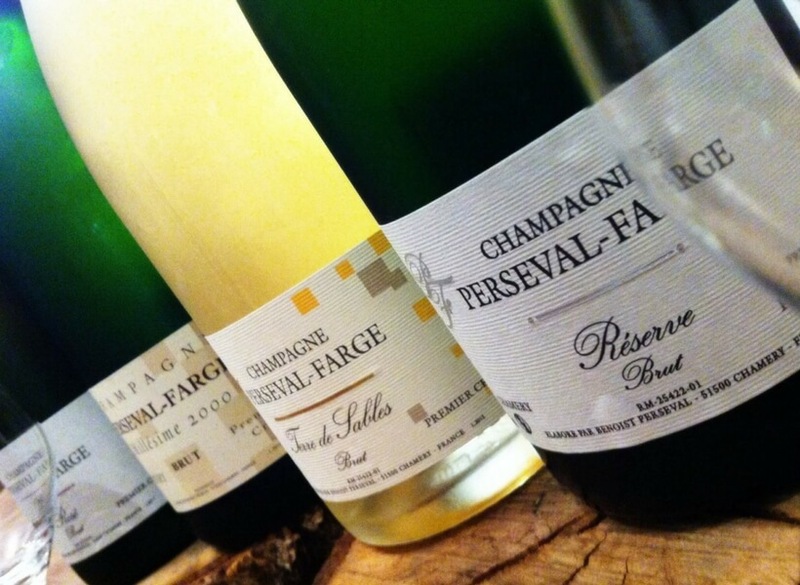 If you want to try different kinds of champagne, that’s where you go. 30:20′ Reims is cold, inland, wet, winters are quite miserable. The visits are all indoor, but be prepared for wet winter if that’s when you’re going. The Christmas market is fairly famous. 31:35′ Martel has an elevator for wheelchair accessibility even to get to the tunnels, but not all of them do. 32:00′ Reims is an art déco town. There is a small museum for the signing of the treaties for the end of WWI and the capitulation at the end of WWII. 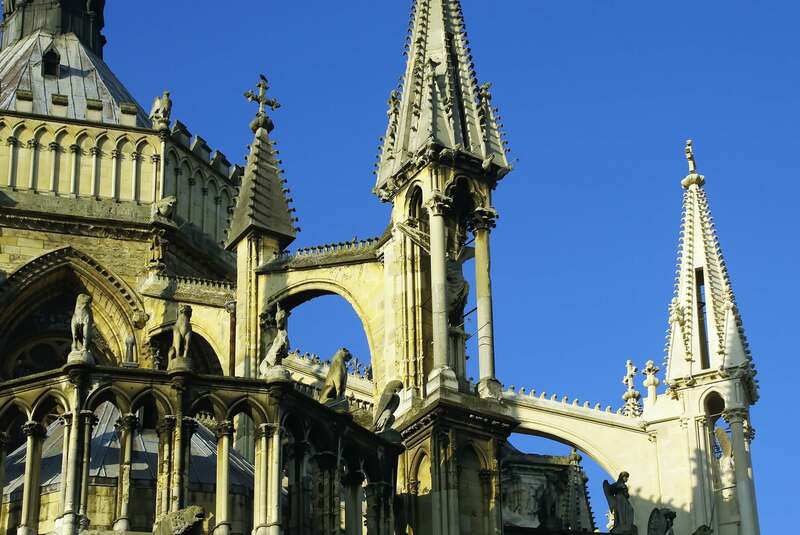 Reims is also a university town and has about 120,000 inhabitants. 33:45′ If you choose to go to Epernay you will see the vineyards. You can get there from Paris also. There are buses between Reims and Epernay. Some of the more famous champagne houses are in Epernay. Nothing to see but champagne. Moet &amp; Chandon, Dom Perignon are on Avenue du Champagne in Epernay. A more sophisticated visit. The visit takes 1h15mn. There are 3 champagne houses that you can visit in Epernay, some you cannot. 36:20′ The Champagne Route, it’ll take you to the smaller champagne producers, you can stop by and see if they’ll give you a tasting. You need a car to do this. Some of the smaller champagne houses may be closed off season, but it’s still worth a visit. 37:20′ Don’t put champagne in your suitcase. The champagne route is not ideal in the winter on account of weather. House of Castallane offers a very nice visit, shows the bottling, how they design the labels, they have a tower from which you can see over the Epernay hills. Epernay is a place where you visit the champagne house and look at the countryside. 39:30′ Buy some champagne and drink it while in France. California “champagne”. 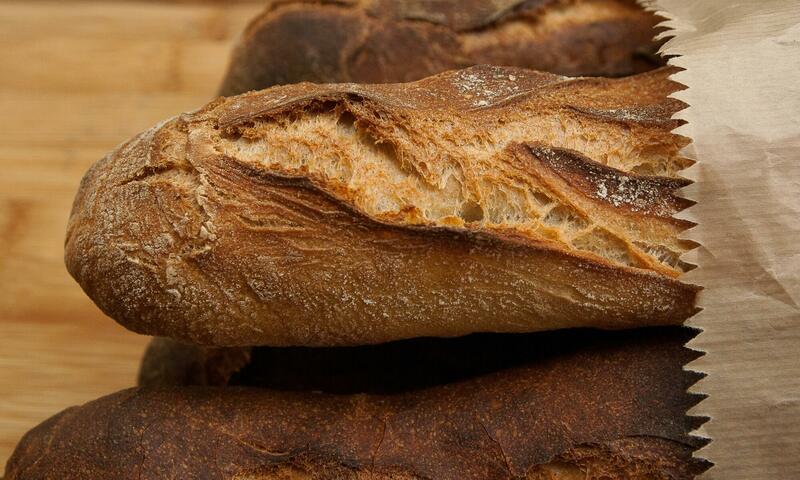 In France every kind of food and drink is named for where it comes from. As a result of this, so as far as French people are concerned it’s only champagne if it comes from the Champagne region of France. The concept of “terroir”. 41:10′ Unless you go in the summer-time go to Reims. But Epernay is also worth a visit especially in the summer. 42:20′ The TGV trains that go to Reims are the newer TGV cars with displays that show the next station, etc. Not all TGV cars are that fancy, some of them are showing their age since they first went into circulation in Sept 1981. The new ones are really comfortable. It’s a good experience. And you can drink champagne and not worry about driving. 43:45′ Champagne gets expensive, but there are some. The one I tried was Veuve Durand and it was fine. Blanc de blanc, and crémant are a cheaper alternatives still and regular French people use those for big groups. If your bottle says French champagne then it is from the Champagne area in France. We’re not wine experts, we just know what we enjoy. 47:15′ The finer the bubble, the better the champagne they say. A lot of things about champagne is marketing. Are French people correct to want to protect their local appellations for cheese and wines, etc.? 49:00′ When we started the podcast we thought the podcast would be 15 to 30 minutes long, but we’re giving up on that idea because it’s unnatural trying to stick to a certain length without reading our notes. 50:30′ Listener feedback segment: Bobbi Bowman talks about the “chicken dance” on French sidewalks. Craig asked on Facebook if two people walk into a small store are they both supposed to say “Bonjour” and the answer is yes. Saying “bonjour” as you get on the bus, especially a bus with few people on it, even teenagers do it! 53:30′ Call to action: tell us if you want an App. Would you prefer Android or iPhone? The more feedback we get, the faster we’ll do the app. Enter your response in the Comments area below. Use the share buttons at the bottom of each post too! Thank you and we’ll talk to you next week!